The gaming industry is huge. I don’t even want to go into numbers because you’ll cry. But there’s one site that’s definitely not sad to be part of the mega-gaming world. 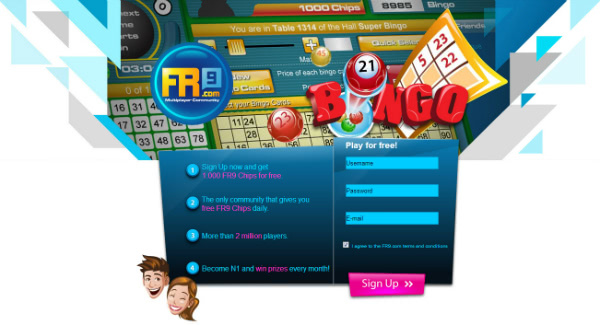 It’s Fr9.com, the gaming site that is making online games more social and, yes, more addicting. We caught up with startup founder Amado Martin to talk social gaming, running international offices and what he would cook for Bill Gates. Tell us a little more about what inspired Fr9.com. We were inspired to create Fr9.com because we recognized the business opportunity and a need that was not attended to. Many users find it more engaging to play new multiplayer games with friends or other people. Today, online casual Games are an increasingly important part of how people interact and stay connected with each other, social sharing forms a large part of our focus. To promote this, we have included various social features in Fr9.com like chat, private chat, private messaging, a user profile and other services that are yet to be released. This new portal will also serve as the launching point for new gaming features we’ll be bringing to players worldwide. With virtual goods, a premium account, an exclusive Avatar Store and new multiplayer games we´ll be offering even more exclusivity. Why did you go into the gaming business, and why do you think it’s an important industry? Our company World Internet Projects started with creating casual games websites. Seizing the trend at that time ( 6-7 years ago) we wanted to provide a value that other websites didn’t offer. The gaming industry is rapidly changing and that requires a lot of creativity. We currently have about 7 million unique monthly users on several casual game websites. 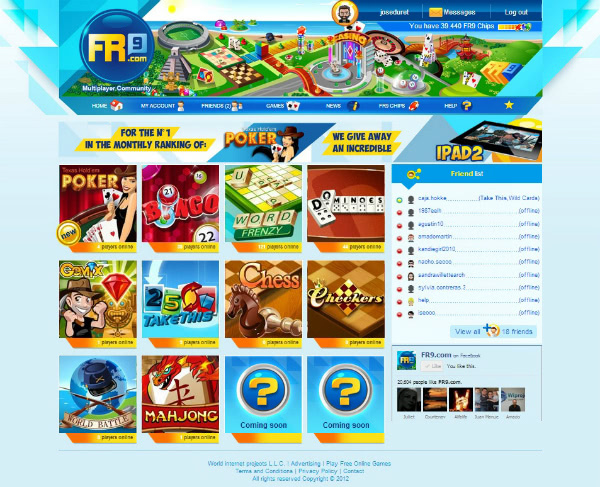 Today we focus on FR9.com because we believe the future of playing games lies in interaction and social sharing. People are looking for something more, playing games alone is not enough. That is the interesting part of this sector: The gaming industry moves millions of monthly users and the gaming world is continuously looking for new and better gaming experiences, new possibilities to explore. We believe that there is always room for new ideas and that these will always be well received by players who always want something more. Well I don’t sleep much at night since I have a 5 month old baby. I get up early in the morning, have my coffee and check the company’s statistics, the unique daily users, revenue, shared content, and more. Reply my emails and go over all the products to see where I can contribute, the small details make the difference. I work closely with our 4 offices in Chile, Uruguay and Barcelona. I like to stay informed, review news in the technology and Gaming industry, try out new services, products or new games to see if there is anything that catches my attention. I value my time in the morning, which allows me to work quietly and go to the office in the afternoon. The time I spend at the office allows me to focus on the urgent things and attend meetings with my team or my partners, so inspiration can flow freely. The best business advice I ever received is that there is no greater failure than not having tried. Develop success from failures and 90% of success is simply to insist. If you could have lunch with one person, who would it be, what to eat, and they talk about? 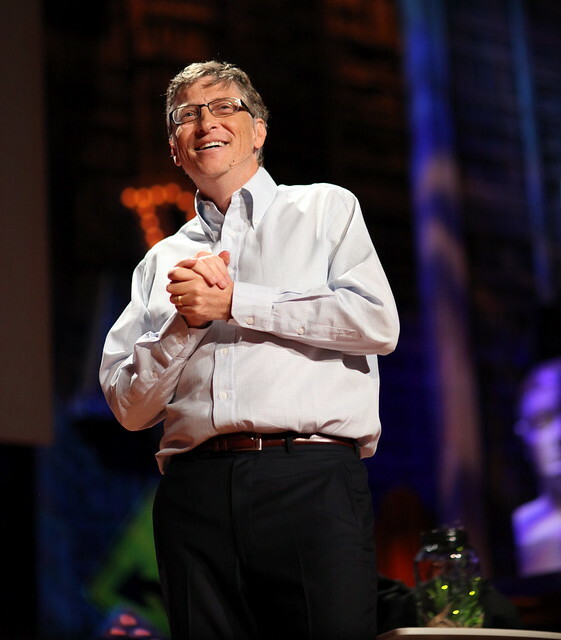 I ‘d love to meet Bill Gates, he is a leading example as a person and as an entrepreneur. I would invite him to my house and prepare him a delicious home cooked meal, Paella, and talk about when he started up Microsoft. How the problems he faced have made Microsoft to what it is today. For someone who is regarded as a pioneer in the field of computer technology, it must be quite exciting to explain how his life was back when nobody knew him and how he never gave up, overcame the obstacles and achieved his goals. Biggest startup challenge and how did you deal with it? The biggest challenge I faced was to put together a talented group of people eager to learn and grow. To be organized, positive and contribute to maintaining a good atmosphere at the office, are essential characteristics. They need to be absolutely passionate about their work, human capital is the most important aspect of a company. Starting up a business is about imagination, initiative, and a readiness to undertake new projects. It is perseverance and determination. What would you be doing if the Internet didn’t exist? If the Internet did not exist I think that in some way I would be involved in information technology. From childhood on, I was always trying everything to see how it worked. Working with hardware, operating systems and games has always intrigued me. What game are you most addicted to? I’m addicted to Fifa13 and its previous versions. Although I also like strategy games such as Civilization, Ikariam, OGame. I follow up on new game releases and pay close attention to newly implemented game physics. What’s the greatest thing about www.fr9.com? What makes www.fr9.com great is the interaction, the ability to share, and the overall increased engagement through the social features we have implemented in the community. The free to play model enables users to not spend money on different games, one single virtual currency for all our games. Every user is able to win prizes at the end of the month by stepping up their game and improving their skills. Thanks Amado! 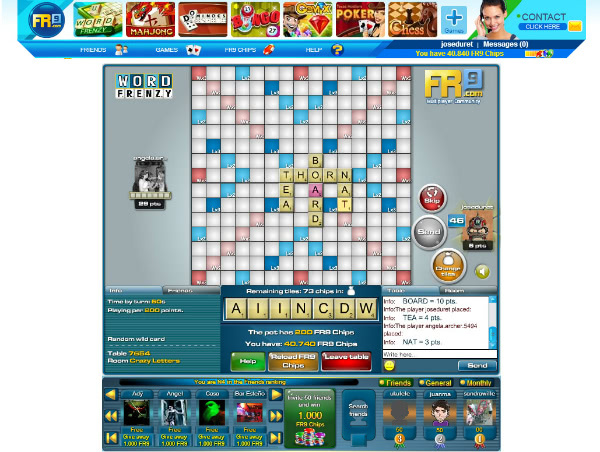 I’ve been playing Word Frenzy for an hour now, so I can confirm the addictive nature of Fr9.com. If you also want to feed your addiction with a more social twist, check out the site. But remember, actually going outside into the real world is also a healthy activity to partake in.